Challenge Kev Outdoors – Page 2 – Walking. Exploring. Motivating. 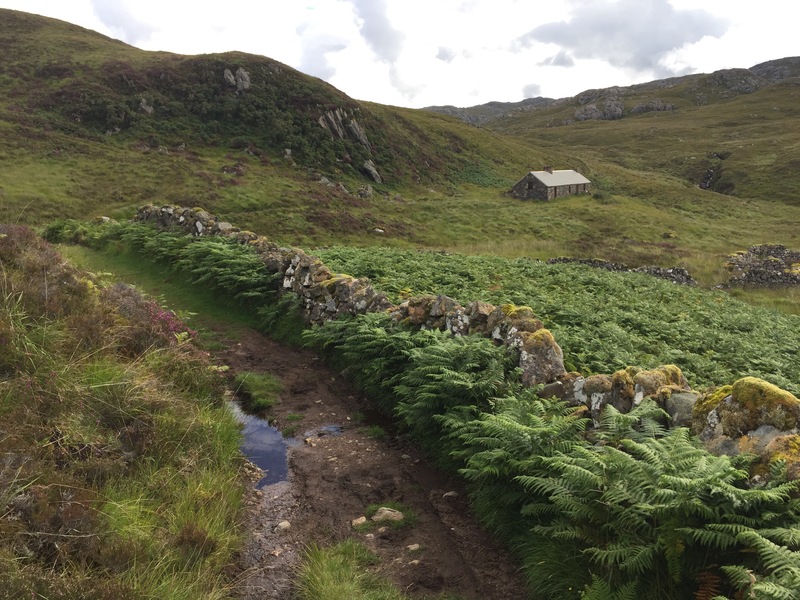 And here’s the story of the whiteout and the attached bothy trip. An ace weekend. Today’s lunch spot. Sitting on the ridge above the Lairig Ghru looking over to the Devil’s Point and Corrour bothy. Oodles of sushi just out of frame. Team Deliverance consists of Kirsty, Paul, Sas, Gav, Erin and my good self and there wasn’t a sign of a banjo or a squealing pig all weekend. Two days spent canoeing the waters of the River Tay in blazing sunshine and driving rain were a perfect way to welcome the coming autumnal changes. I’ll let the film speak for itself. Leaving the house at 4.30am, the murky morning mist poked some tiny holes in my enthusiasm and, for a second, made me question the wisdom of driving four and a half hours north. The forecast looked good. Yet the fog became thicker as I passed Pitlochry and even from the roadside near Elphin, Suilven was nowhere to be seen. 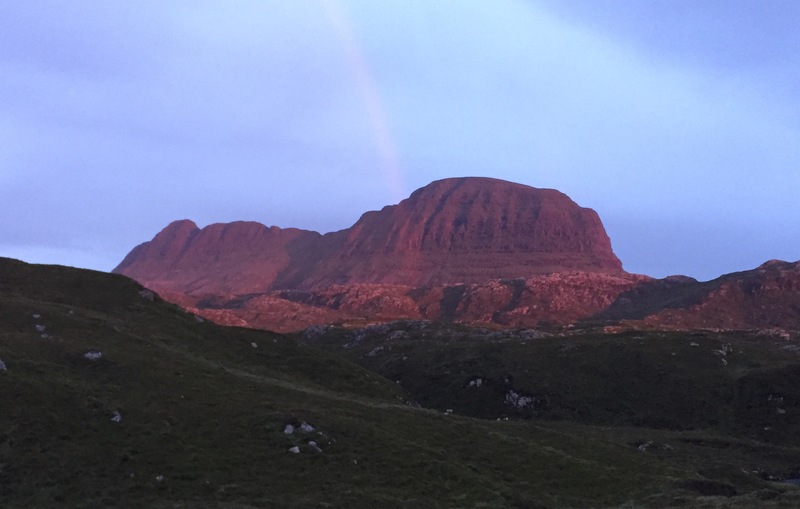 A mountain with a distinctive shape, recognisable from all angles, rising from the relative flatness of the Assynt estates all around, it was elusive. Parking up near Glencanisp Lodge, Suilven had decided to show its skirt and the mist was beginning to clear. It was warm as I passed the honesty shop at the lodge and the road turned to track, but progress was still quick and with every turn in the track, the mountain became clearer. I reached the bothy after an hour and a quarter. Suileag has two rooms, each with a working fireplace and sleeping platforms. My overnight gear dropped and laid out, I was ready to fall into my sleeping bag when I returned that night. On I went through the treeless Glencanisp forest and after crossing the footbridge over the Abhainn na Clach Airigh, I turned off the track and found myself on the first section of a newly created path leading up towards Loch a’ Choire Dubh. By this stage I could see the full Suilven profile and I have to say I was a bit excited. 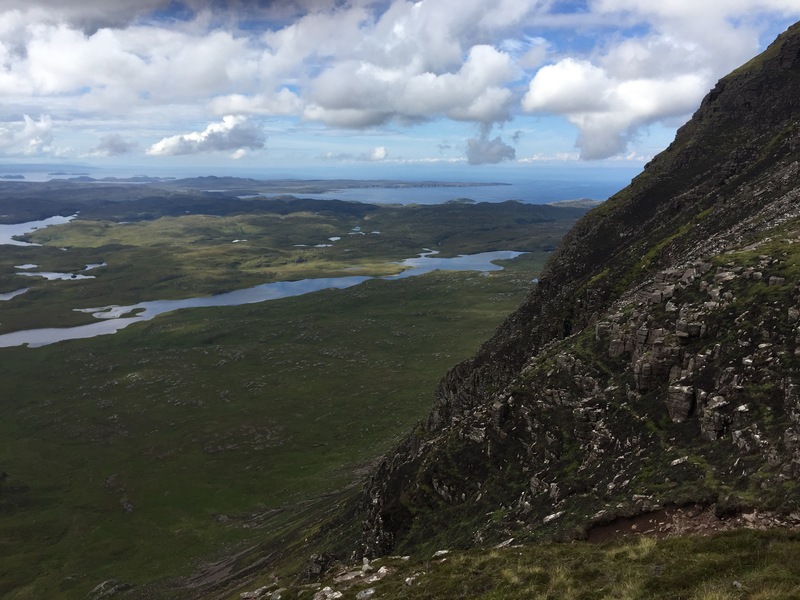 I’d wanted to climb Suilven for as long as I’d been a walker. A hill walker mind, not a toddler. And here I was. Completely in awe. Why hadn’t I come up before? 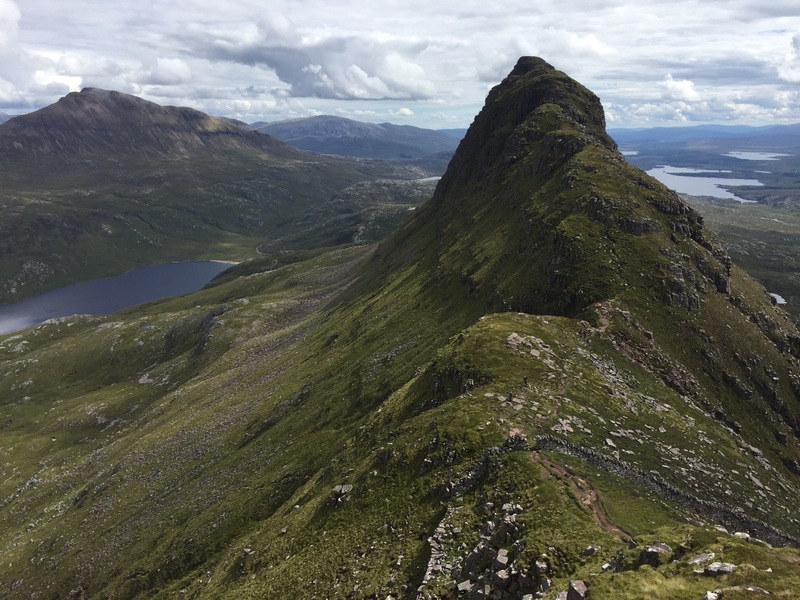 The final steep scramble to the Bealach Mor was tough. But the rewards were huge as the top of the pass was reached with views south across Stac Pollaidh, Cul Mor, Ben More Assynt. And more. The final push to the top at Caistel Liath was short but glorious. I could see for miles, blue sky and sea surrounding the rough coastline and mountain landscape. A paraglider lugged his 15kg of machine parts just behind me and since he looked shattered from the effort, I headed off towards the other, more pointed end of the ridge. A footstep here, a scramble there. I didn’t make the peak of Meall Meadhonach. I value my various body parts. One curious point about the day was the wall. 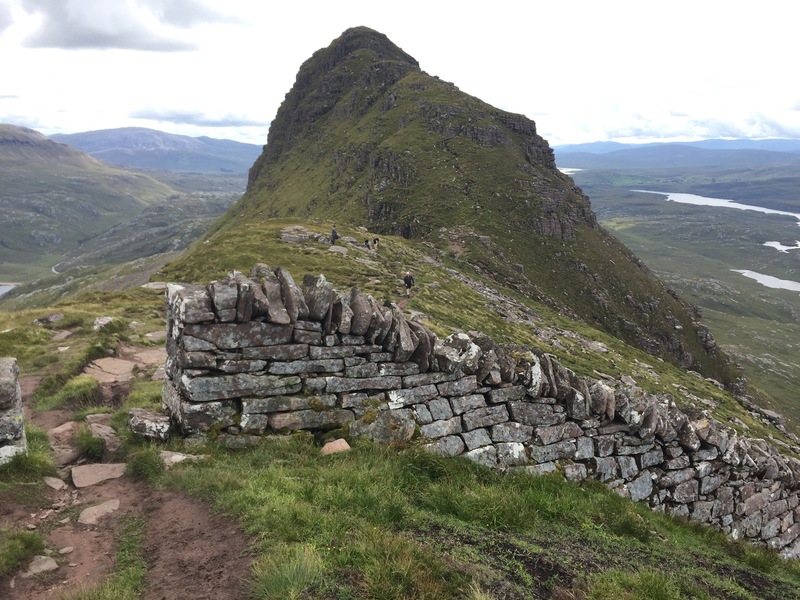 A wall that cuts Suilven in half and runs down both sides as far as the terrain will allow. A stunning piece of work. And whether built as a joke between neighbouring estates, or for a labour creation scheme, the splitting in half of the hill adds a sense of symmetry to the view and a neat human-made addition to nature’s Scottish sugarloaf mountain. Back to the bothy and the company of T and C, a fire in the grate and a bottle of Highland Park. More sharing. Company. Whisky. Heat. 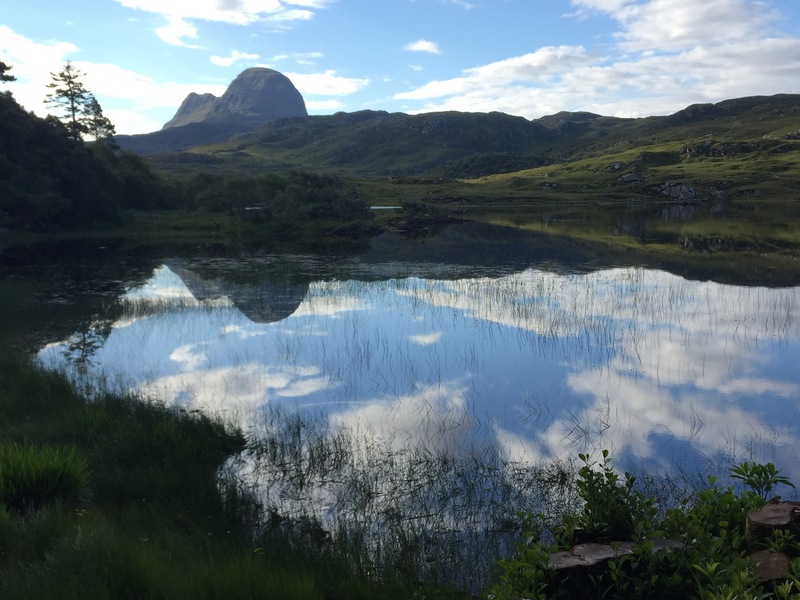 Suilven looked glorious in the evening sunshine, the breeze meaning I didn’t need to share the view with the midges. Later at dusk, as the sun went down, the mountain was ablaze, the red a major contrast compared to earlier in the day, the red rainbow a bonus touch. I like this old signage because Perth is officially a city. But when this was painted, it wasn’t. 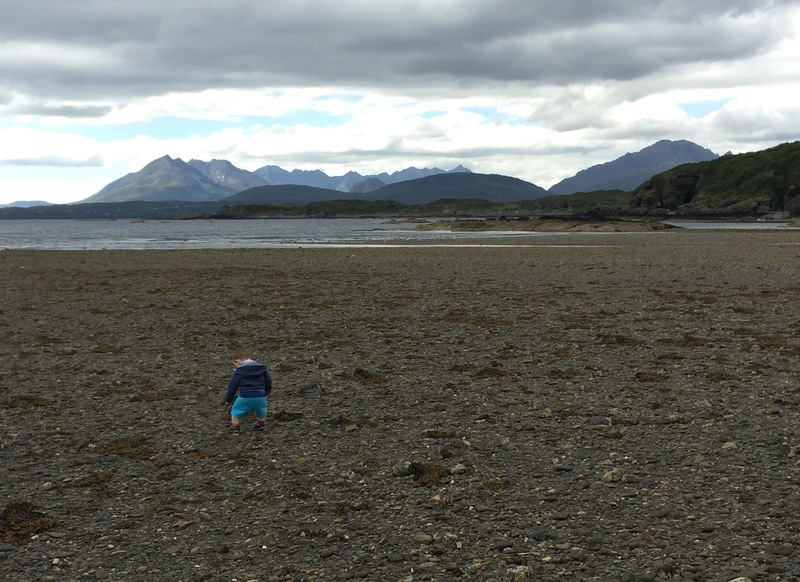 The best way to ensure your child likes a campervan trip to your favourite mountain range? Let him drive. After a day of walking, a cake stop can be a great way of appreciating the challenges and achievements of the trip. And it’s even better to share the moment with a new pair of friends. After 6 months work (on and off) I finally finished my kuksa, a Swedish style cup carved from birch with the intention of giving it as a birthday present to my wife. Hope she appreciated the manliness that went into its creation. And even the string was homemade.